How about a Communication Audit? Our church just did a “Generosity Audit.” The objective was to get a handle on the generosity culture of our congregation, and to look at some ways our church can encourage a generous lifestyle among our folks. We worked with a consultant, who looked at all our communications for a period of several weeks. He talked with the staff and many other key leaders in our church. And then he presented a report which applauded some of our praiseworthy practices, and made recommendations on some changes he thought would move us toward the goal of being a more generous people. It was a good exercise. 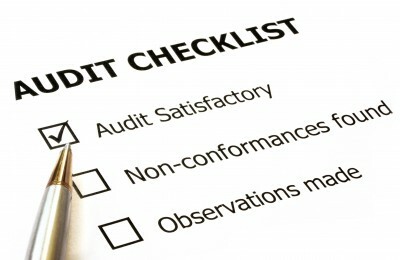 Being a church communication guy, it made me think that maybe churches should periodically conduct a communication audit. Every congregation is different. Every community has its unique channels of communication. And every congregation and community is constantly changing. People come and go, and communication technology is evolving. Twenty years ago, there was no Facebook, no Twitter, no blogs, not much of a World Wide Web, no smart phones, and the only ways to watch a TV program was to turn on your set when the show was on the air or record it on your VHS deck. These days, just keeping up with the changes and development of technology is enough to make your hair hurt! So every now and then, it is a good idea to look at what you’re doing, assess the changes in your church and community, and determine if your methods are still supporting your goals. What should we look at in a communication audit? How are you communicating with your congregation? Take a brief survey on a Sunday morning. Find out how many of your members use Facebook and Twitter regularly. How many have smart phones? How do they get information about what’s going on in your church? How are you communicating with your community? The radio and TV stations and the local newspaper are the obvious, default communication channels. Who do you contact at those media outlets? What are their deadlines and submission requirements? Are there websites that cater to your immediate neighborhood? How about community calendars and blogs that might list events at your church? How well are you communicating? Do the members of your congregation feel they’re in the loop or do they feel left out of church communications? Does the local newspaper editor dread to see email from your church, or does she read it immediately because she knows the contents are relevant and interesting? It doesn’t take a lot of time or money to answer these questions. But the knowledge you gain through your communication audit can save you a lot of both.